Belmont prides itself on the commitment and quality of its staff and governors, the support of parents and how this translates to excellence throughout the school. 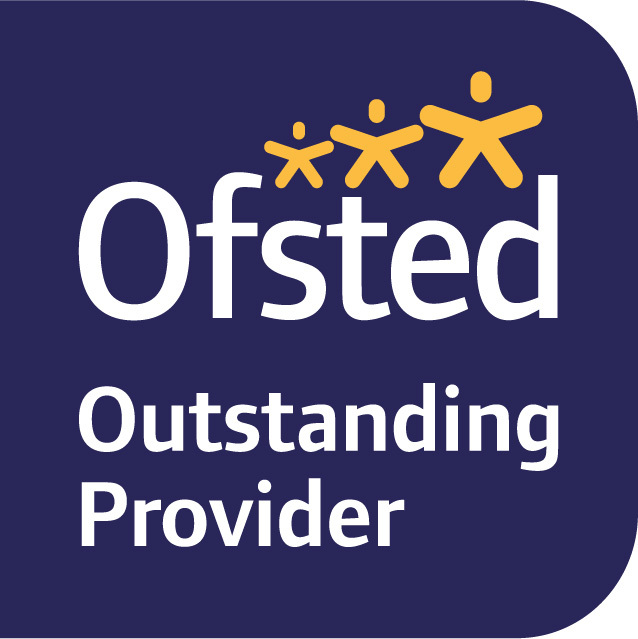 In the past this has been recognised through some very prestigious national awards, such as being shortlisted for the Pupil Premium Awards (2015) and TES Special Needs School of the Year (2015), of which we are very proud. However, our focus and energy has since shifted towards developing and recognising excellence in the school through staff obtaining awards in specific areas relevant to the needs of a special school. The following awards and programmes provide an insight in to what Belmont is aiming to achieve to ensure all children are supported and developed to their full potential. 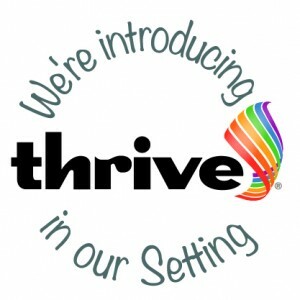 THRIVE is a whole school intervention which focuses on a child’s mental well-being. The programme enables staff to detect and understand the specific needs of each child and implement targeted strategies and activities to help them cope with difficult situations and re-engage with others. At Belmont School we have two fully trained THRIVE licensed practitioners who are required to maintain their competence through annual refresher training. The practitioners are responsible for conducting assessments and creating action plans for children to work from. 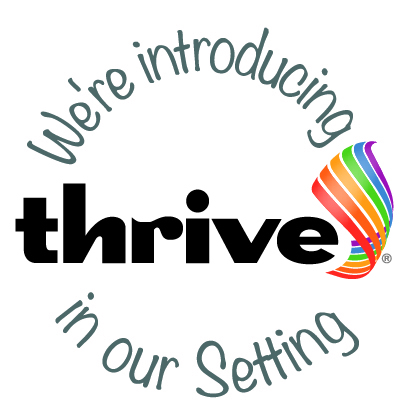 They also provide in school training and information for all colleagues to enable them to assess children accurately, work within the THRIVE ethos and use the action plans to carry out activities to support the children’s social and emotional wellbeing. At Belmont School we not only feel passionate about meeting the needs of our pupils but we also endeavour to support their mental health and well-being. This is an area that ensures our young people will be able to cope with the challenges they face on a daily basis. In order to successfully support our pupils we have ensured our staff are trained in this area. A small specialised group of staff members have completed the Mental Health First Aid training whilst more than half of our staff have completed a Level 2 course in Mental Health. In addition to the day to day support we have a qualified and experienced counsellor who works one to one with pupils or in small groups, when necessary. This means we are able to provide a first line of support to ensure the pupil feels safe whilst we assess and organise the next stage of support by linking with external professionals if required. Belmont School strives to meet the needs of all its pupils and we endeavour to ensure all our staff are trained in as many areas as possible. Many of our pupils have been diagnosed with autism or traits of autism, thus we have taken the necessary training to achieve the Autism Award for our school. This Level 2 qualification in autism awareness has ensured we understand the needs of our pupils and are able to provide a curriculum and learning environment to meet these needs. This will ensure all pupils thrive during their time at Belmont but are also equipped for college and beyond. We are passionate about continually developing our knowledge and understanding in this area and achieving the award has supported this. Belmont School is located on a large beautiful site with extensive outdoor facilities and we like to take advantage of this when we offer additional opportunities to our children. Since summer 2017 Belmont has been an ‘Outdoor Play and Learning’ (OPAL) school and we’ve observed a dramatic increase in levels of physical activity from the children and other positive benefits including effective team work and respectful relationships. For more information about OPAL see the recent letter to parents and/or go to the OPAL website. Belmont has recently made the decision to relocate our Forest School programme on site here, so children of all ages can regularly experience learning in an outdoor environment where they are encouraged to use their curiosity and creativity and develop individual and teamwork skills. To build on the foundation of Forest School, this year Belmont has launched the Duke of Edinburgh Award scheme. Mr Fry has a cohort of year 10 students who will complete their Bronze Award at the end of this summer and in doing so are learning new skills, helping the community and being more physically active. 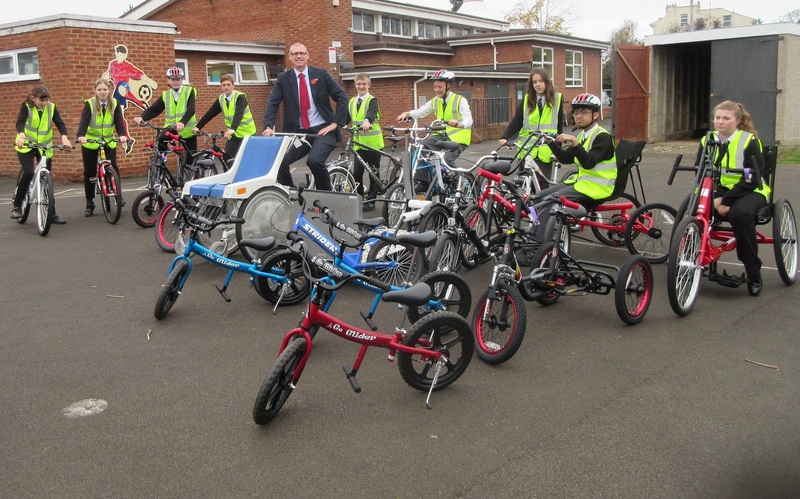 More recently, the school’s commitment in helping children become physically and emotionally more independent has been aided by considerable investment in cycling equipment and facilities. 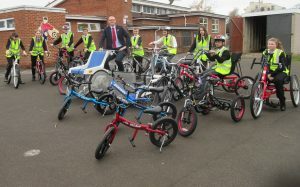 With support from Gloucestershire County Council Belmont is developing as a centre of excellence for cycling and cycling programmes and now has the specialist bikes available for all children to cycle and enjoy the experience.